doxazosin lawsuit cialis 5mg for sale. . 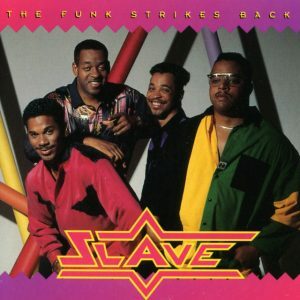 Founded in East Orange, NJ in 1976, Slave is the hardest rocking of all the Ohio Funk bands. Their hit “Slide” has been covered by by alternative rock bands as recently as 2001. Slave’s “rockin'” sound is attributable to their founder, the multi-talented Steve Washington (drummer, vocalist and keyboardist) and to Slave’s ferocious lead guitarist, Mark Hicks (Drac). Washington formed the group in New Jersey, but he has strong roots in Ohio, as he is the nephew of original Ohio Player trumpeter Ralph “Pee Wee” Middlebrooks. Washington fleshed out the group with Mark Adams on bass and Danny Webster on rhythm and lead guitar. Another “Steve” joined Slave later, He is Steve Arrington, from Dayton, Ohio. A gifted musician as early as elementary school, Arrington played Little League baseball with Lakeside founder, Mark Wood. They would wow the crowds with drumming duels between games. Needless to say, Dayton had the funkiest Little League “seventh inning stretches” in the world. Arrington exerted his influence on the band’s sound with such songs as “Just A Touch of Love” and “Watching You.” Everyone from Keith Sweat to Ginuwine to Usher owe a debt to Arrington’s distinctive nasal but soulful singing style. Steve Arrington has evolved into a Christian recording artist.